The packaging for meals, ready to eat, pictured here, has evolved over the years. Scientists at the Natick Soldier Research, Development and Engineering Center are now investigating the development of nanocomposite packaging for military rations, which will be lighter in weight and less expensive than foil pouches while enhancing food quality and reducing waste. If you've ever craved Chipotle while out in the field, 2017 might be your year. A new Meal, Ready-to-Eat set to debut in 2017 will feature a chicken burrito bowl entree, according to officials with the Army's Combat Feeding Directorate. 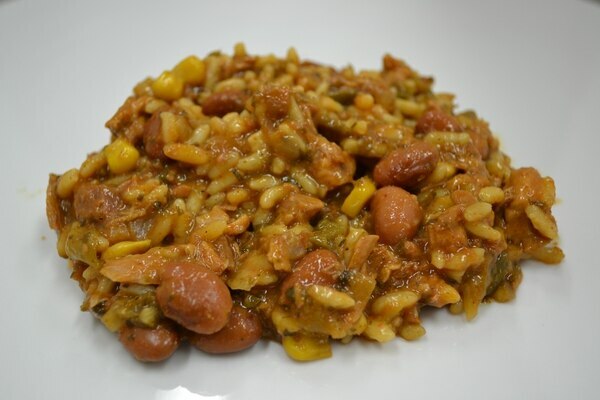 The mix of chicken, rice, chili peppers and beans will be in a flexible pouch similar to a commercial tuna pouch, said Julie Smith, senior food technologist at CFD, part of the Natick Soldier, Research, Development and Engineering Center in Massachusetts. The burrito bowl MRE will also have a trail mix that contains pretzels, peanuts, cashews and almonds. Smith said the mix offers a 3-to-1 carb-to-protein ratio that will aid in the warfighter's recovery. 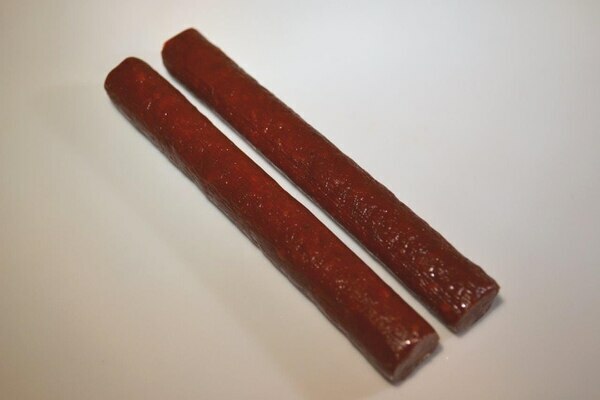 A teriyaki meat stick will be included as an alternative to beef jerky. "Typically, when we do evaluations, we get feedback from the war fighter that they want to have more beef jerky varieties," Smith said. "It's such a high sodium item, however, that we have to be careful in how to include it in the menu." The teriyaki meat stick provides that lower sodium option, she said. The burrito bowl entree features a mix of chicken, rice, chili peppers and beans. It will be in a flexible pouch similar to a commercial tuna pouch. The chicken burrito bowl, or MRE No. 38, will be produced in January, with assembly around February or March. After that, it's up to each installation to decide when they receive the MREs, depending on how many they already have and how they're issued. The Combat Feeding Directorate takes troops' input into account when creating new menus. With the popularity of fast-casual Mexican restaurants such as Chipotle, service members recommended a burrito bowl during testing last year. The long-awaited pepperoni pizza MRE is slated for 2018. The burrito bowl MRE comes with teriyaki meat sticks, which offer a lower sodium alternative to beef jerky. Smith said sometimes items are removed from MRE menus because troops have simply become bored with them. "They're sick of the same entrée," she said. "So we see which items are trending down that might need to be removed." In 2016, the Army added elbow macaroni in tomato sauce, creamy spinach fettucine, chocolate protein drink powder and crushed red pepper flakes to its MREs. It cut spicy penne pasta, ratatouille and ground red pepper flakes. The new Meal, Ready-to-Eat will feature a chicken burrito bowl and teriyaki meat stick snacks. Next year, plans call for the Army to cut the pork rib, chicken pesto pasta, fried rice, wheat snack bread, turkey nuggets, raisin nut mix, fudge brownie and Ranger bar options from its menu. In July, there was a weeklong field test to gather feedback from 200 soldiers at Fort Carson, Colorado. The soldiers ate from control menus as well as four new test menus — each menu included a survey where the taste tester could rate how much he or she liked each of the items. The test items included: hearty beef stew, beef in sauce, braised beef with pasta, a pita pocket, a chocolate First Strike bar with blueberry, Chipotle beef jerky, and a strawberry-banana dairy shake with Tyrosine. They are being tested for potential inclusion in MRE No. 39, which would be released in 2019, according to Britni Roy, a food technologist at Natick. Feedback from the test is currently being analyzed, she said. Taking the soldiers' feedback, researchers at the Combat Feeding Directorate return to the Natick center in Massachusetts to analyze the data and soldier responses. Natick, however, is not a decision authority, so a joint services forum is held where representatives from each service can discuss the findings every February. 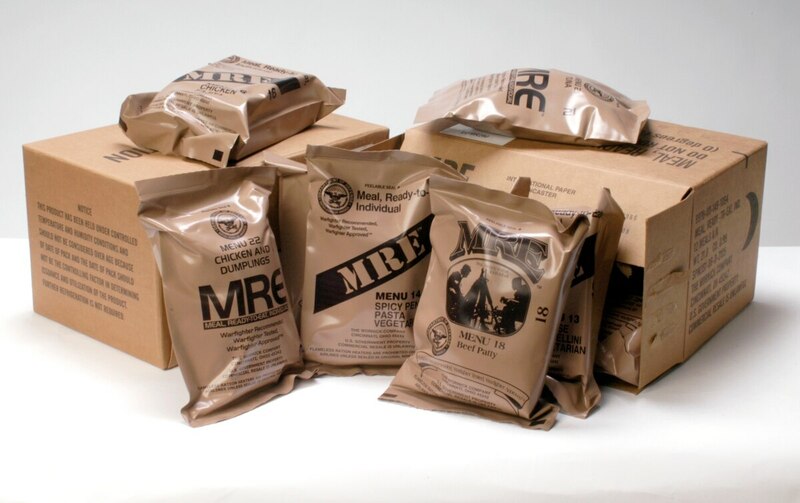 It takes about 18 months from approval for a new MRE menu to become reality. The roughly 1,200-calorie meals must meet strict nutritional guidelines, as well as maintain a shelf life of about three years at 80 degrees Fahrenheit.